Ah, zucchini. So abundant during the summer and so very versatile. Zucchini is one of my favorite things to experiment with, because it can be anything from sweet to savory. 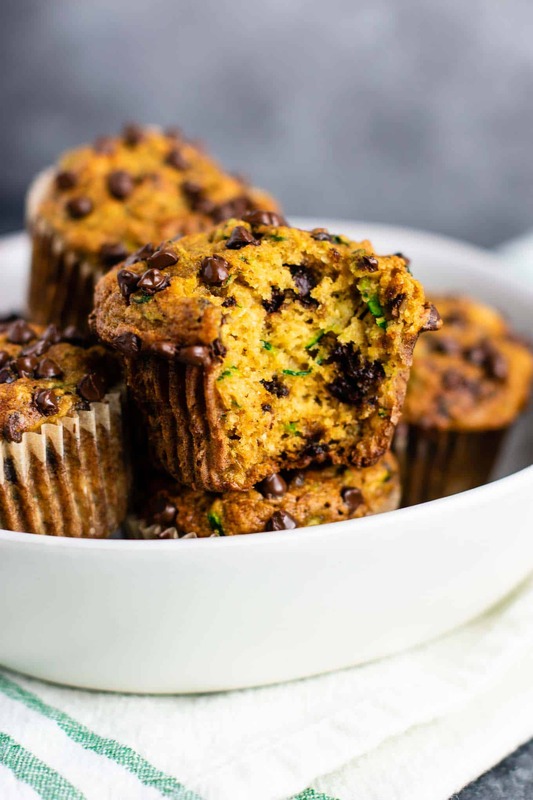 These zucchini chocolate chip muffins are sweet, but packed full of veggies. I’ll be indulging in these all August long! Those of you that are regular readers might remember that I did a muffin of the week series for awhile earlier this year. This was in the hopes to find more food that my picky toddler Crosby would eat. These muffins were a hit with him! 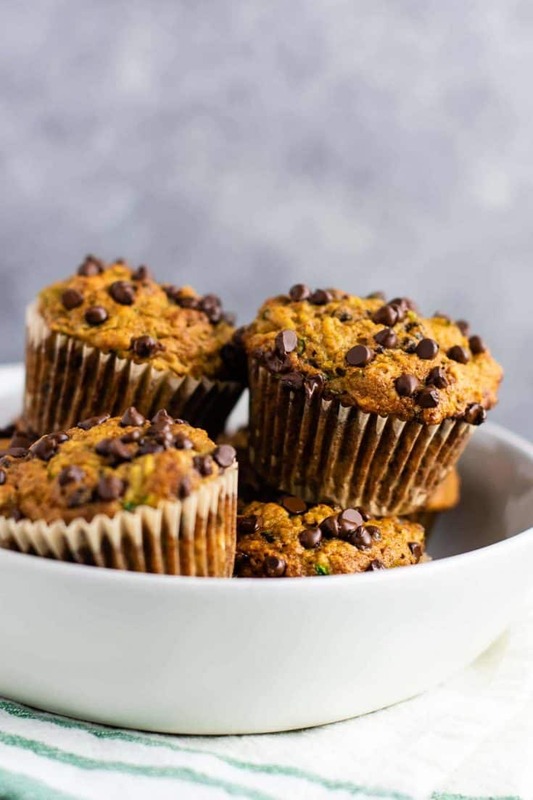 If you are looking for more kid friendly muffin recipes, just check out my breakfast recipes archive. First, grate up your zucchini. Do not peel first, just rinse off any dirt and wipe clean. Once you have grated your zucchini, use a few paper towels to soak up some of the extra moisture. We don’t want it to be soaking wet. In a large bowl, combine your zucchini, eggs, vanilla, olive oil, applesauce, maple syrup, and chocolate chips. In another bowl, whisk together flour, baking soda, baking powder, salt, cinnamon, and oats. In your bowl of dry ingredients, make a well in the center. Add your wet ingredients to the center of the well, and stir gently to combine. I like to use a rubber spatula for this, as it mixes the best while still being gentle. Be careful not to over mix your batter, as this will make for tougher muffins. We are going for soft and moist! 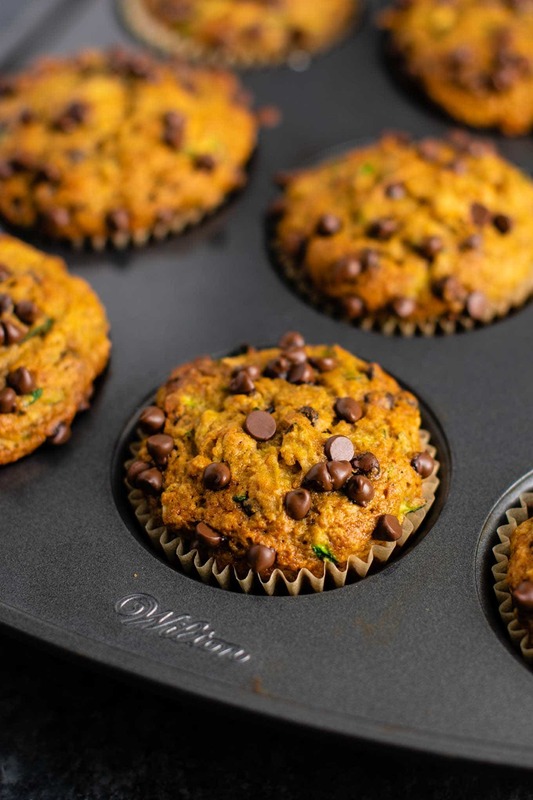 Distribute batter into 12 muffin tins lined with parchment paper liners. I love these because the muffins don’t stick AT ALL. Seriously amazing. If you haven’t tried them, you should. No more muffins sticking to the liners! I love them so much I bought 5 boxes at target just so that I wouldn’t run out for a long time. 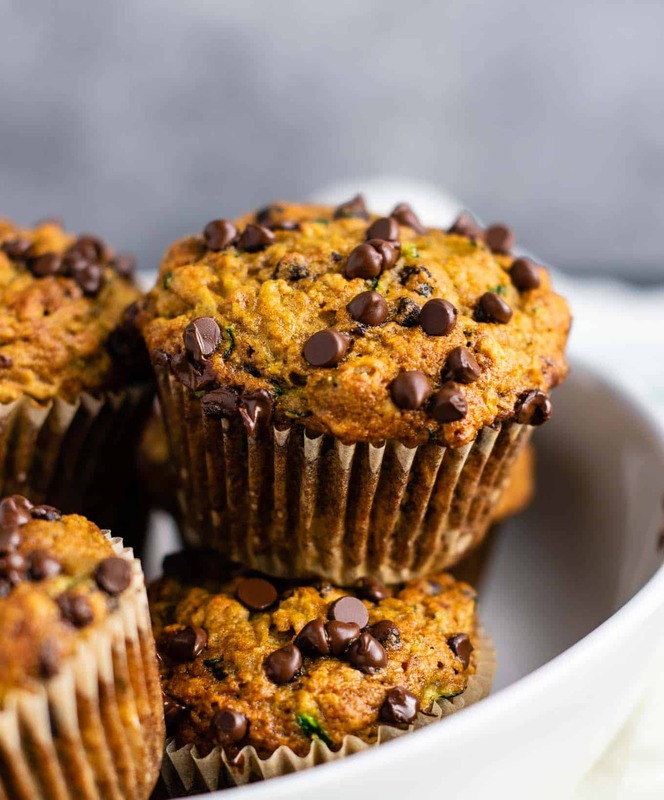 I used enjoy life dairy free mini chocolate chips for these muffins, which means that they are totally dairy free. Many of my recipes are dairy free just by habit, so this one is safe for all of you who don’t do dairy! 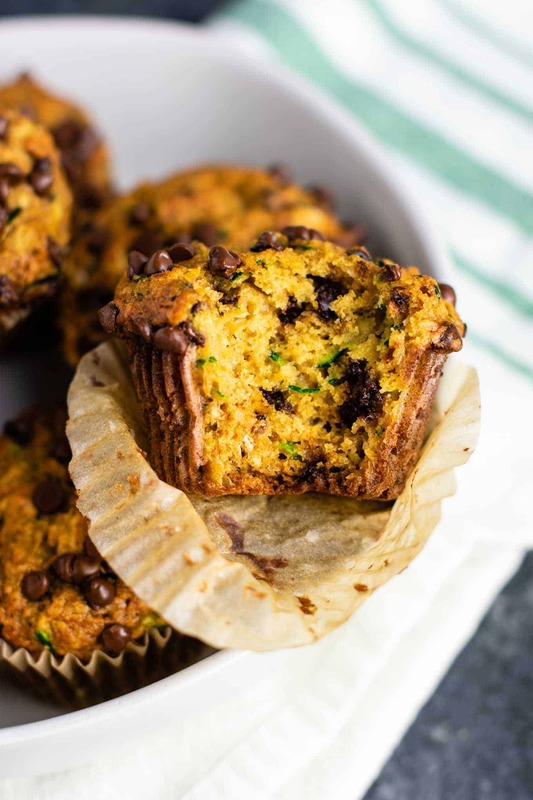 These zucchini chocolate chip muffins turned out even better than I hoped! perfect for breakfast, snack, OR dessert! I’m so in love. 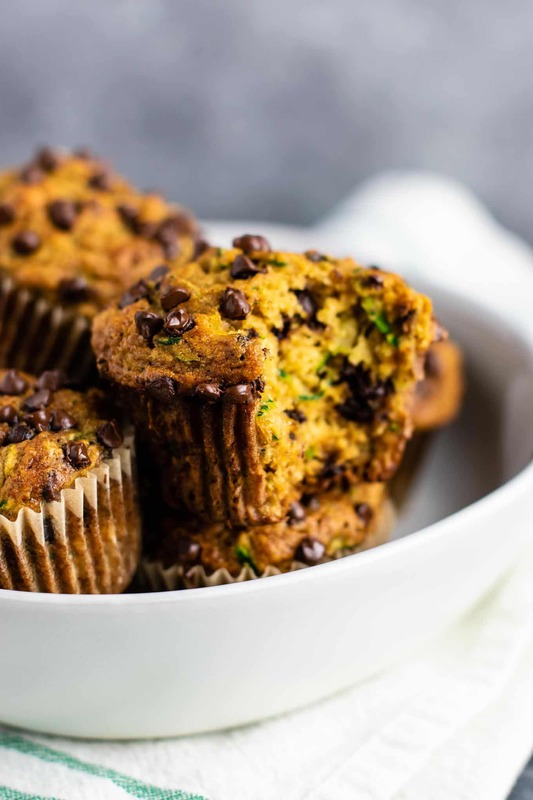 Muffins are one of my favorite baked goods because they are so versatile. Honestly, you can’t go wrong. 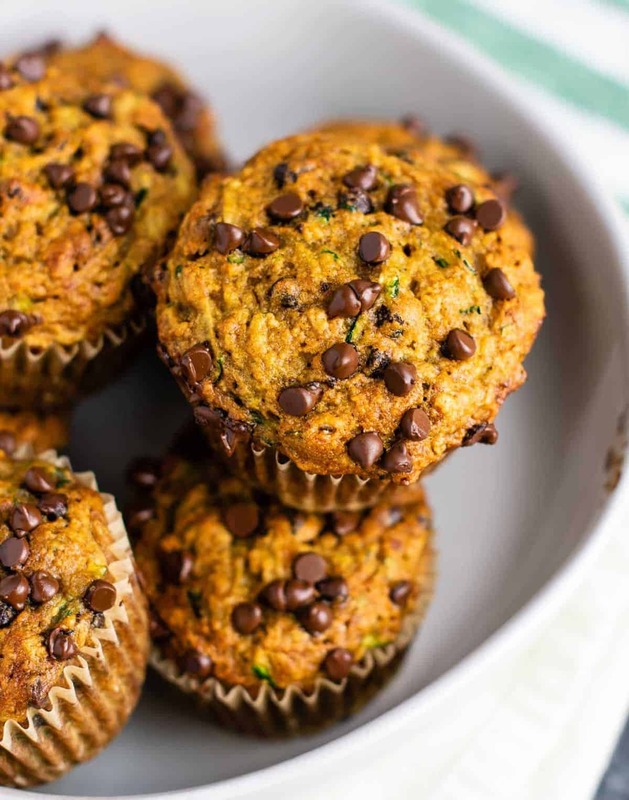 Make these healthy muffins for your family and watch them be devoured! Hungry for more? 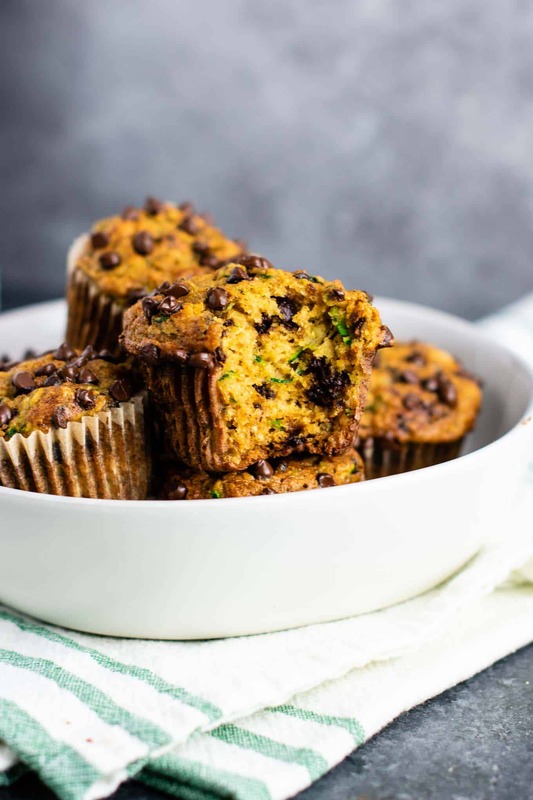 Here are some more healthy muffin recipes to try! Grate zucchini and use a paper towel to soak out some moisture. Repeat several times if necessary. We want the zucchini not to be dripping wet. In a bowl, add zucchini, beaten eggs, vanilla, olive oil, applesauce, maple syrup, brown sugar and chocolate chips. Stir well to combine. 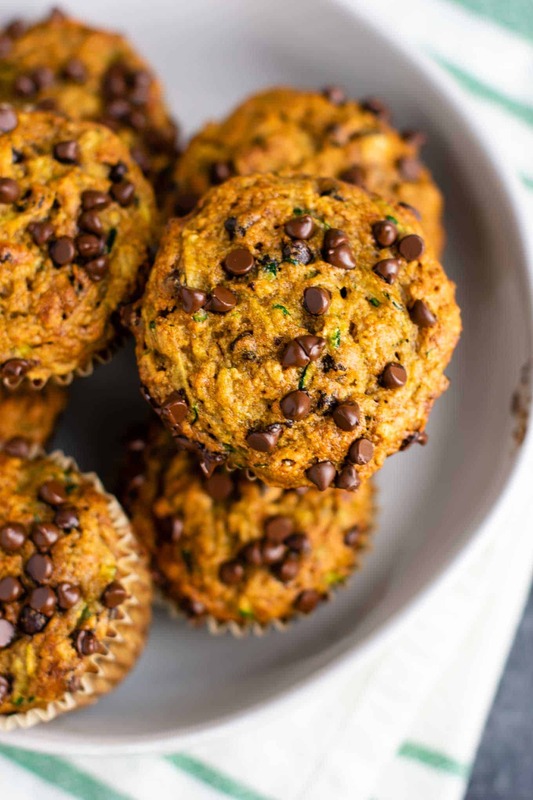 These muffins look so delicious and so easy to make! Perfect healthy snack!